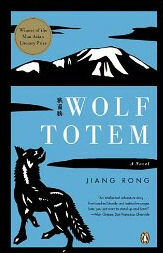 Short stories are very popular in China but few of them have been translated into English. Many of theme are quite short and require readers to use their imagination to fill in missing spots. One collection that has been translated into English---Loud Sparrows translated and edited by Aili Mu, Julie Chiu and Howard Goldblatt (Columbia University, 2007)---features 91 stores that vary in length from one paragraph to three pages. Characters include a monk that can change himself into water if he meditates hard enough and a prison escapee that breaks into his former jail. Science fiction is also very popular in China. There are millions of readers and a host of fanzines and websites to keep them informed. Homegrown Chinese science fiction began in 1954 with the short story From Earth to Mars by astronomer-writer Zheng Wenguang and reached its zenith in 1978, after Mao's death, with story Death Ray on a Coral Island by Tang Enzheng. 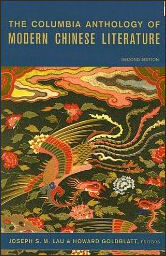 Themes of modern Chinese literature include nationalism, humanism, progress, memory, pleasure, and "cultural China." Chinese works that sell well in the United States tend to deal with the Cultural Revolution, the Mao era, the early 20th century or some other period from the past. Those that deal with contemporary issues don’t do so well. Sometimes publishers refer to works coming out of China and Asia a whole as “scar “or “misery “literature”---about enduring hard times and poverty under repressive regimes. One blogger compared contemporary Chinese literature to Chinese manufactured goods: low price, high quantity, little added value, no brand. 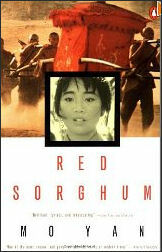 The Communists have traditionally viewed literature primarily as a propaganda device. In a piece entitled Yan'an Talks of Art and Literature, Mao argued that literature was something that should be used for a revolutionary purposes. Most Communist literature is about peasants, workers and soldiers who overcome great odds to achieve great things. Many Chinese books that are banned in China are available outside the county, and many Chinese classics can be read in English but not Chinese. In some places Chinese still have to show a passbook to enter "special section" in bookstores and libraries with books by British and American writers such as Saul Bellow and George Orwell. Libraries are regarded as places to read books. It is nearly impossible to check out a book. By the early 1990s, when almost all major works of international fiction were being translated into Chinese, he was also reading more widely, particularly novels by V. S. Naipaul and Toni Morrison. Writers were singled out in the anti-rightist campaign in the 1950s and banished to remote labor camps and harassed and humiliated in the Cultural Revolution when intellectuals were branded the “The Stinking Ninth”---the last and worst category of class enemies. About 2900 writers were killed or driven to suicide, including the great novelist Lao She who drowned himself in Taiping Lake after being attacked by Red Guards at Beijing’s Confucius Temple. During the Tiananmen Square demonstrations 100 or so of China’s most successful writers marched out of the Chinese Writers Association building and called for political reform and an end to corruption. After the protests were crushed essayist Liu Xiabo and novelist Zheng Yi and other named as ring leaders were imprisoned or forced into exile. Gao Xingjian, who later won the Nobel Prize for Literature, resigned from the party, left for France and never has been allowed back to China. Ma Jian criticized one Chinese writer who referred to himself as a dissident writer and boasted he was asleep during the Tiananmen massacre and didn’t join in the march because he were too exhausted. Writers born in the 1970s are known as “70-hou “in Chinese. Although they get published many feel neglected and don’t have big numbers of readers. A typical “70-hou “writer keeps a day job. Many are public servants, or minor officials, and others are newspaper and magazine editors. The 36-year-old Xie Zongyu is a policeman in Changsha. The job gives him an endless supply of unusual crime stories, which he can adapt into fiction. Xie started by contributing to Zhiyin, a popular magazine that pays a good price for this kind of story. One day, he witnessed the bloated corpse of a young woman floating down the river. She was one of a pair of lovers who committed suicide because they could not see any future for their love. The man's body surfaced soon after drowning, but it took 10 days for the woman to be found. When people used a forklift that pierced into her body to drag it ashore, he could not help pondering the meaning of life. Why should I spend my life churning out words that do not express the profundity of the human existence, he asked himself. He turned to serious writing, which often pays 100 yuan ($15) or less for every 1,000 Chinese characters. But he has no regrets. Unless you're a best-selling writer, he says, the money from creating literature does not make a difference to the quality of your material life. However, people like Xie do care about fame and feel their writing can bring about change and gain them more respect. “What we want most is the recognition and applause from peers,” said Zhe Gui, the 35-year-old from Wenzhou, Zhejiang province, a place with a pervasive business culture. Not long ago, Li Jingze and Qiu Huadong of Path Light, met the chief and vice editors of Granta, the respected and distinguished English literature magazine from the UK. The Granta editors were very pleased to receive the first issue of Path Light, saying they devoted their latest issue to Afghan authors and the following two to post-Soviet and Indian authors, and they were considering doing a Chinese issue. "We can act as a window to them, providing access to the abundance of Chinese literature," said Qiu. It's definitely a win-win deal. "It turns out that our idea of 'good' works almost perfectly coincide with that of foreigners!" said Qiu. "It's reasonable," he added. "A novel by Mo Yan about life in a Chinese village and an American novel describing the life of a Las Vegas gambler may have the same essential theme - the brilliance of humanity." In the past, most Chinese novels published in the West were mainly about the Cultural Revolution (1966-76), but, in China, many of these novels are widely thought to be poor in quality. The novel Red, which tells the history of three generations of Chinese women in one family, has been a best-seller in Britain for many years, but to literary experts like Qiu Huadong, it has "little value in literature, and is not very well written." These books are quite influential abroad, regarded as a window to China. But in fact scenes in these stories are far from the reality of life in China, and they reflect even less the reality of today's China. In November 2011 the first issue of Pathlight magazine, a new literary publication produced jointly by Paper Republic and People's Literature magazine, was released. Now in a three-issue trial period, Pathlight will focus primarily on writing from relatively new and unknown Chinese writers, and aims to provide a comprehensive look at the newest trends in contemporary Chinese. "As our purpose is to promote excellent Chinese literary works and writers to the outside world, making a profit is currently not a consideration. In fact, it is impossible to earn money immediately," chief editor ofPeople's Literature Li Jingze told the Global Times. "We have to do it this way. Chinese literature badly needs dedicated advocates." According to Li, new Chinese writers are unknown to foreigners even though in the last decade, China's cultural communication with other countries has increased substantially. Ou Ning, the chief editor of Chutzpah, founded the bilingual magazine after making the same observation. A few years ago, Ou was shopping in a bookstore abroad, and found the Asian literature section filled with Indian and Japanese books translated into English, while Chinese works were few. "Then I thought I wanted to do something about this," Ou told Global Times. The translation staff at both Path Light and Chutzpah are Chinese who immigrated to English speaking countries at an early age, generally four or five years old, and stayed there into adulthood. Aside from being skilled in Chinese-English translation, the ideal translators must have a "passion for Chinese literature," according to Qiu. "There are only a few people who possess these qualities in the whole world. Only dozens, I suppose, fit this description, and we scoured the planet to find about 20 of them." Both Path Light and Chutzpah insist on taking art as the only standard in choosing articles for their magazine. "We only look at quality, not the whims of the market," Ou Ning told Global Times. Qiu Huadong also said, "Art is our ruler. With a wide scope and an open mind, we choose articles that truly exemplify and represent the abundant and complicated realities of our country, past and present. We will display only the highest level of Chinese literature." Literature translation is different from other, more straightforward kinds of translation. It's even harder and must be done by native speakers. Although many Chinese who are extraordinarily good in English may have no problem translating English into Chinese, translating Chinese into English is a different animal altogether. Significantly, the translator of all three books mentioned above is Howard Goldblatt, a professor of Chinese at the University of Notre Dame, and generally recognized as the doyenamong the translators of Chinese fiction in English, with more than 40 titles in print. Kubin's take on Goldblatt's staggering pile of translations is this: "Goldblatt summarizes in his own English what the Chinese novelist in question might have wanted to say. He irons out the flaws in the original text. Sometimes he drops paragraphs altogether and deletes culture-specific references to make the text more accessible to Western readers. The end product is significantly different from the original." Goldblatt sounds equally ambivalent when asked to respond to the contentious issue of the translator's right to rewrite - a question that seems to turn up like a bad penny in his mailbox every other week since he published his translation of Wolf Totem in 2007. Journalists, bloggers and dissertation-writers keep asking him why he chose to drop a large section, about 30,000 Chinese characters, from the book's postscript and glossed the reference to sky burial - thereby adding a sentence not in the original. "I'm happy to take Wolfgang's comments as a compliment," Goldblatt says in a cryptic e-mail note. "Jiang Rong, the author, would likely disagree. But he (Kubin) gives me too much credit, since the Penguin editor's role was significant and authoritative, in that the cuts originated with her." Editorial intervention is something that happens backstage of the translation show, unbeknownst to the reader. Nicky Harman, who has translated several Chinese authors, including Han Dong and Hong Ying, says, "Many publishing houses have editors who will edit your translation whether you like it or not." "If you come across a translation which has dropped a significant component of the original, don't immediately shoot down the translator. It may have been the editor who did it." A translator's job is often riddled with tough choices. While seasoned translator Eric Abrahamsen would like Western readers to learn to appreciate Chinese particularities, sometimes these appear somewhat idiosyncratic or plain bizarre in English. For instance, a pretty girl described as having a "goose-egg face" sounds nice in Chinese, "but not necessarily attractive or alluring in English". While Abrahamsen is mulling over whether to "go with moon-shaped or heart-shaped, as equivalent ways of creating a similar effect in English", he admits that "part of me would really like to leave it as goose-egg". In a way, Abrahamsen - who runs Paper Republic, a website dedicated to promoting Chinese literature among an English-speaking audience - is in agreement with Kubin's contention that Chinese fiction needs a bit of nip and tuck, to be made presentable to the world market. "The craft of writing is not very developed or highly regarded in China, and much of what is published contains malapropisms or plain old errors that shouldn't be allowed into the translation," he says. He can see the point of editors "willing to alter the story to fit the narrative expectations of Western readers - most notably in toning down egregious melodrama, or when a writer starts sermonizing in the middle of a story." 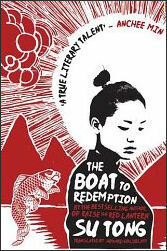 The Mao Dun Literature Prize is the country's most prestigious literary prize for novels. Launched in 1982 it is awarded every four years to no more than five novels. In 2011, for the first time, since the establishment of the prize in 1982, each winner was given substantial prize money---500,000 yuan ($78,200). Over the three decades since the prize was started, 38 novels have won the honor. Statistics from People's Literature Publishing House, which has published 17 of the 38 winners, shows that total sales volume of the 17 titles has exceeded 6.5 million. Among them, the top three are White Deer Plain by Chen Zhongshi with 1.35 million copies sold, Red Poppies by A Lai with 0.96 million copies sold, and Hibiscus Town by Gu Hua with 0.86 million copies sold. Edward Wong wrote in the New York Times, “The Internet has ignited a revolution in China’s publishing industry by allowing a diversity of voices to bloom. Publishing houses can spot new talents and buy the rights for print editions. All this has contributed to the market reforms of the past decade and debate within the party about how to both nurture and control the industry. “The Internet created all, and I say all, the literary trends that took off in 2005 and afterward,” said Jo Lusby, managing director of Penguin China. But the Internet does not offer writers total liberation, either, since there are online monitors. And some writers are reluctant to post entire books because of fears of piracy; Murong Xuecun said he had not posted his last book, a nonfiction work about a pyramid scheme. So lots of people who write online---not only those writing novels, also those writing other things like a personal diary---can have a very clear ambition which is still to be published in traditional form. To still have a paper book. I think people are starting to see publication on the internet as a stage before real publication. A prelude to more serious work. On the influence of the Internet on writing, Xu said, “There has definitely been some influence here, although we’re still in awkward phase. When the internet first started I had a website with some friends. It was huge, a bit like Douban today, and was called New Youth---or Xin Qingnian. We wanted to use the internet to innovate with some of these basic principles of language and narrative, and we did some experiments with poetry. So for example if you moved the mouse somewhere on the screen a word might suddenly jump out and turn into something else; or if you clicked a sentence it might take you somewhere else. A bit like a game, or hypertext. We were looking for a new way of using the Chinese language. Something that you could call poetry but also contemporary art. A scientific art, or “a geek art', you could say. It was very difficult to find a context for this kind of thing in China, though, and we wrapped up the website after a few years. While poets in other countries spent the 1960s and 1970s experimenting with concrete poetry, visual poetry, and performance poetry, most poets in China were busy creating large-scale, traditional works. So we never really had this base. Wen was inspired by people he met on his microblog 15 months ago. He set the main storyline but allowed readers to interact and suggest details as the story evolved post-by-post on his Sina microblog. His narrative finished at around 500 posts in January and attracted more than 126,000 readers. "My idea was simple. I saw so many people turning to a short-form blog as they were looking for something easy to digest," Wen explained in a press conference earlier this week. "So I decided to write something different, something bite-sized." In Wen's understanding, microblog novels should include people who blog themselves, the things they talk about and their slang and idioms, such as emoticons.The most important thing, he said, was that every post of 140 words must end with a cliffhanger or an open-ended question. Microblog novels are evolving into a phenomenon in other countries, especially Japan, which constantly hosts contests for the world's latest literature form. Even so, before Wen's book got published, few people saw the market potential in the genre as being particularly lucrative, as microblogs are free to access. "It is a brand new style of literature.Besides that, there are still many people who prefer paper books. With delicate writing and page design, it is a different experience from reading on the screen," said Tian Xuefeng, head of Shenyang Publishing House, Wen's publisher. "It does have risks to invest in [this], but which book does not?" Contests to choose the best micro-novels have attracted tens of thousands of entries, and well-known writers like columnist Cai Lan and author Liu Liu are getting in on the act as well. Websites and even a conference have sprung up to discuss the new literary form, with plans for a new magazine devoted to these short tales. One author has even published a book, titled "Love In The Age of Weibo", where he put together 492 of his self-contained tweets into a novel about a man who falls in love with an actress. The popularity of these quick reads is a sign of the times, says professor Mo Huaiqi from Chongqing Normal University. "We are living in an era of fast food. Such micro-novels represent reading and writing fast food-style," he tells The Straits Times. They also represent an offshoot of China's vibrant online literary scene, which has seen many an Internet writer make it big. Take for instance, Murong Xuecun, a nominee for the Man Asian Literary Prize in 2008 and best known for "Leave Me Alone: A Novel Of Chengdu", a novel that was written on the Internet. Like a lot of online literature, micro-novels are also known for their interactivity. Readers can post instant comments or forward the story to their friends. Or they can write one themselves. The brevity of the form has certainly encouraged aspiring authors, but some questioned if such short story forms will enjoy a long life. Mo believes that they are just a fad and do not have much substance. He says: "They are more like word games. People will get sick of them over time." In a way, micro-novels are not that novel. Stories of around 100 words can be found in classical Chinese literature, like those in "The Strange Tales Of Liaozhai", a collection of mainly supernatural stories written in the Qing Dynasty. But Murong notes that novels that have had the most appeal traditionally in China are those of considerable length, of around 100,000 words. In comparison, micro-novels usually do not make the ranks of classics. "It's only a snapshot. It doesn't meet people's expectations for plot development and characters," the writer says. But others say the genre has potential. These stories may be brief but they need not be small, notes netizen Lu Cheng Yi Jian. They do not just have to be about little snapshots of life or stories, but can touch on larger themes, he adds. It is too early to say how such story forms will develop, but the 140-word limit does force writers to be skilful and precise in their use of the language, says prominent Chinese publisher Lu Jinbo. While some say the 140-word limit is too little, it may be a tad long for others, namely budding online writers trying to compose a narrative in just 20 words. No wonder Peking University's Chinese language lecturer Zhang Yiwu jokes: "Micro-novels are like women's skirts - the shorter, the better."